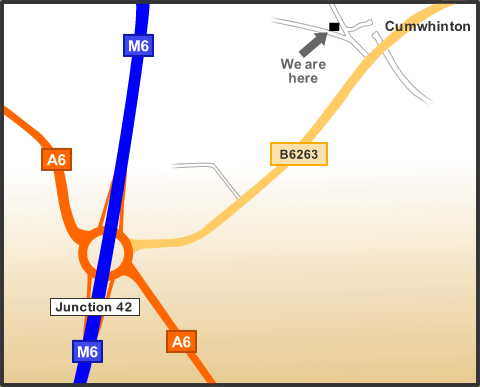 Leave the M6 at junction 42. Follow the B6263 towards Cumwhinton. As you enter Cumwhinton, turn left. The road forks around the Lowther Arms. Take the left-hand fork for our car park.